Ruthiebear (Titusville, NJ, United States) on 10 February 2018 in Landscape & Rural. This is good. The angle of view is successful and the snowfall is beautifully visible. This is more than good. A splendid POV, Ruthie. I can only imagine how nice it is to sit on this deck and enjoy a view of the river. Superbe cette neige, je l'attends, mais elle se fait désirer par ici. C'est beau quand il neige sur l'eau. De belles couleurs. What a strong image this makes - all the right presentation choices. Quelle belle image ! Tout(e) en graphisme et en contrastes. 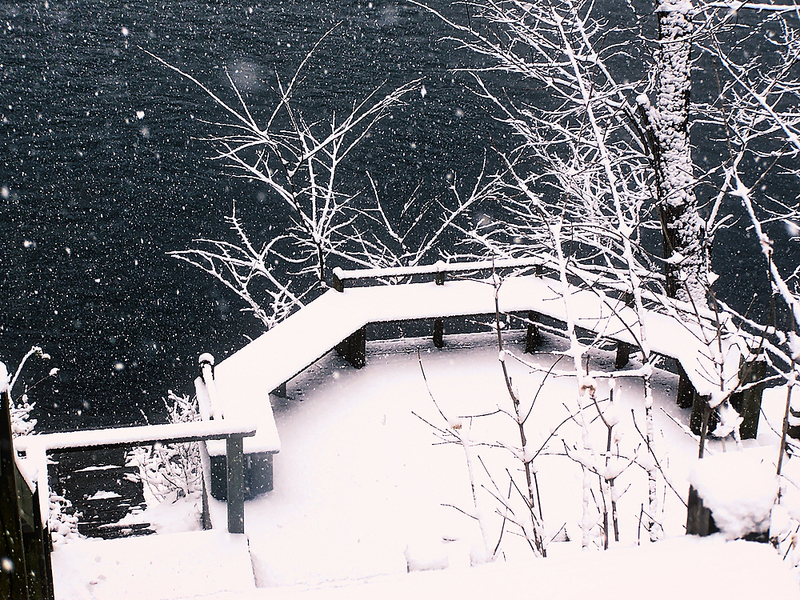 I like the high contrast between river and snowy deck. A fine composition of a very successful picture. Superb composition. Wonderful winter image with snow. Beautiful shape and lovely contrasts! It looks like it goes on forever. Beautiful. Really pleasing on the eyes, and something I could envision as the cover of a Christmas card. A gorgeous black and white image. I love the snow covered trees and the water in the background. What a wonderful place to spend time in the summer. You nailed this one perfectly. looks like you braved a raging snowstorm to get this one. Bravo!